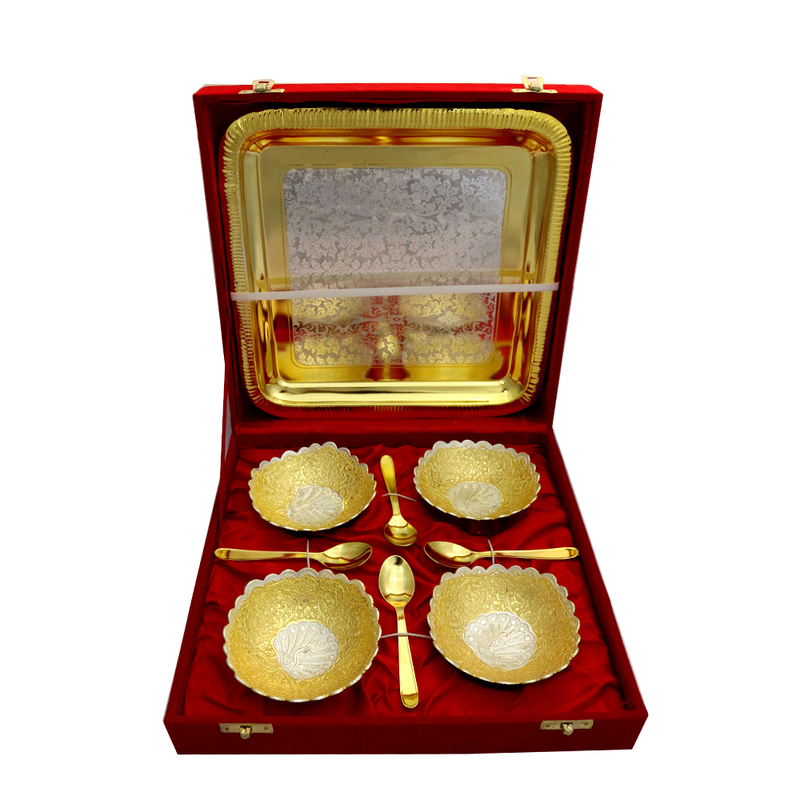 The Set of 4 Curved Edge Bowls with Tray & 4 Spoons in German Silver will surely reflect positively on the sense of aesthetics of Read More..its owners. 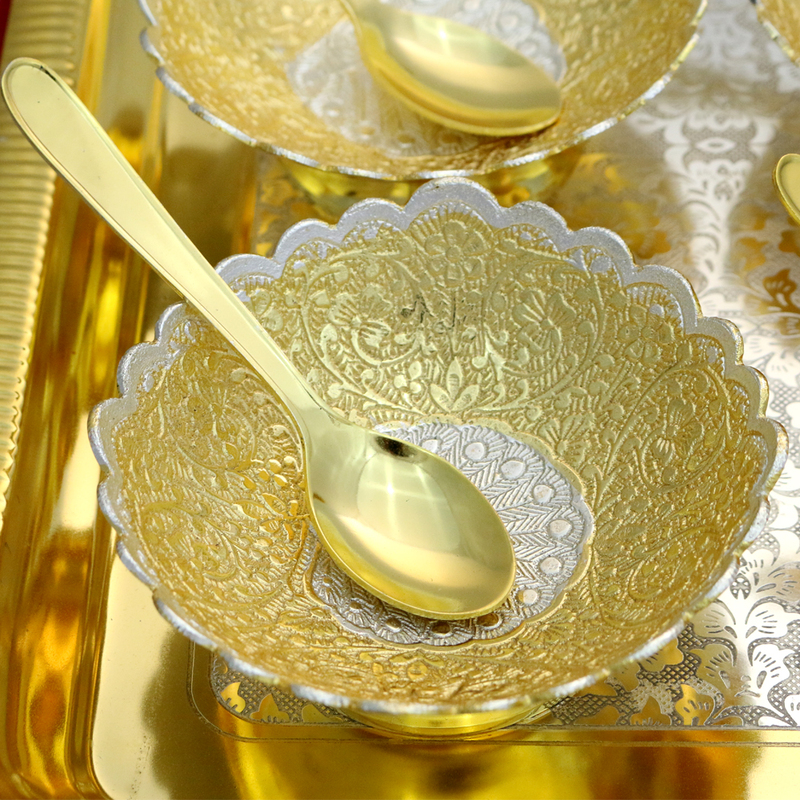 The curved edges present on the bowls accentuate the dual color tones present on them, while the two tones of the tray perfectly complement them. 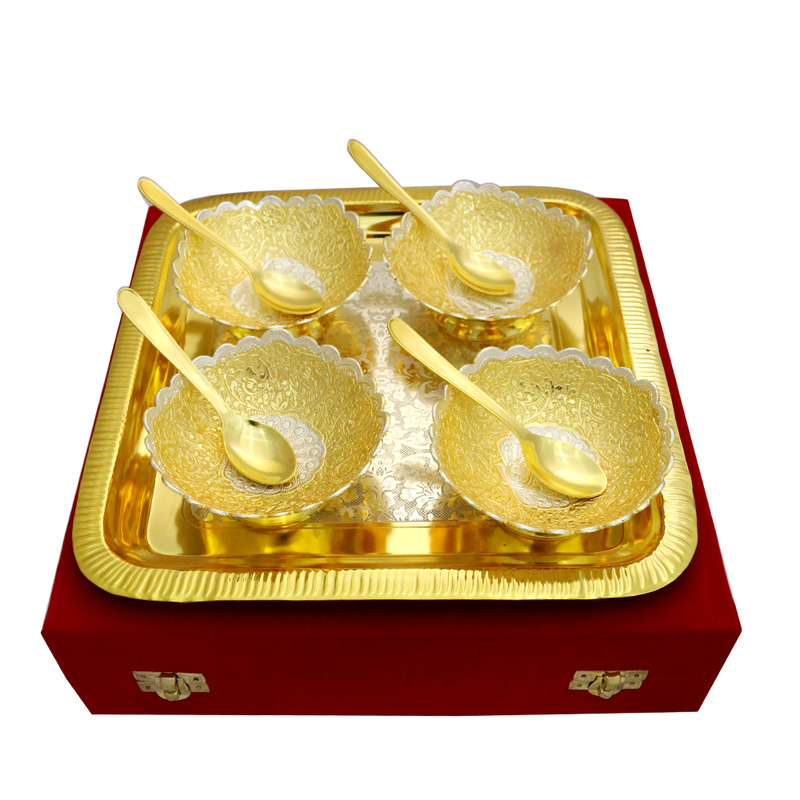 Finally, the 4 spoons, one spoon for each of the bowls, ensure that users are able to enjoy delectable treats served in them. Show Less..